Johanna Jorgensen was born in Stockholm, Sweden. 1997 she started her studies in Molecular Biology at Stockholm University from which she graduated in 2001. Immediately after obtaining her master degree, she started her PhD studies and obtained a Licentiate of Philosophy in Zoological Physiology in November 2004. In September 2006 she moved to the Netherlands where she began working as a research technician at the department of Pulmonology at Maastricht University. 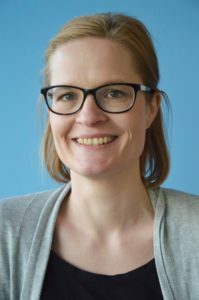 In January 2007 she continued as a research technician within the department of Human Movement Sciences and later at the department of Human Biology under the supervision of Prof. Schrauwen and Prof. Hesselink. Presently, she performs several different techniques, such as cell culturing, RNA/DNA isolation, real-time qPCR, western blotting, immunohistochemistry and oxygraph measurements.